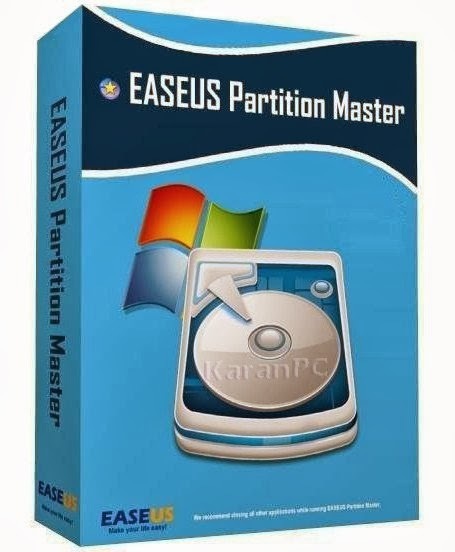 Magic Partition Solution – EASEUS Partition Master Server Edition is an all-in-one server partition solution different from other partitioning software. EASEUS Partition Master Server Edition provides three main features: Server Partition Manager, Partition Recovery Wizard and Disk & Partition Copy to manage MBR&GPT; disks. In addition, EASEUS Partition Master Server Edition allows users to drag and drop on the disk map. Moreover, it doesnâ€™t require a reboot when extending NTFS partition to minimize the computer downtime. The second feature is useful when you want to copy partition or hard disk. For example, when you want to upgrade the disk into a larger one; transfer Windows system or data to other disks. .Resize/Move partitions to avoid data loss, like extending NTFS system partition without reboot to maximize PC performance. .Support dynamic disk – resize and copy dynamic volume, convert dynamic disk, etc. .Safely merge two adjacent partitions into a bigger one without data loss. .Create multiple-partitions, delete partition, or directly delete all partitions. .Wipe data on unallocated space. .Wipe disk or wipe partition to permanently wipe sensitive data on disk. .Convert dynamic disk to basic disk and Convert FAT to NTFS file system. .Convert primary partition to logical partition and vice versa: convert a primary volume to logical to create a fifth volume on a disk with 4 existed primary volumes. .Speed up your computer by defragmentation. .Disk surface test to check and find bad sectors and rebuild MBR to boot system again. .Linux partition management: delete, create, format, recover EXT2/EXT3 partition, etc. .Built-in WinPE 3.0 based bootable CD/DVD or Linux based bootable CD/DVD. .Support all hardware RAID, multiple removable storage device, hard disk and GPT disk (support up to 2TB partition on MBR and 4TB size on GPT). .Copy partition with fast file-by-file copy to protect your data. .Copy entire hard disk to another without Windows reinstallation. .Safely copy dynamic volume to basic disk and resize the basic disk, etc.
. the capability of the RAM memory equal or larger than 256MB. .Better compatible with the latest OS Windows 8.1 and Windows Server 2012 R2. .New algorithm shortens the time and lowers CPU usage during running the program. .Faster activation and installation process from trial version. .Greatly increase the stability of system partition resizing. .More humanized interface brings better user experience. .Fixed some bugs to enhance product quality.